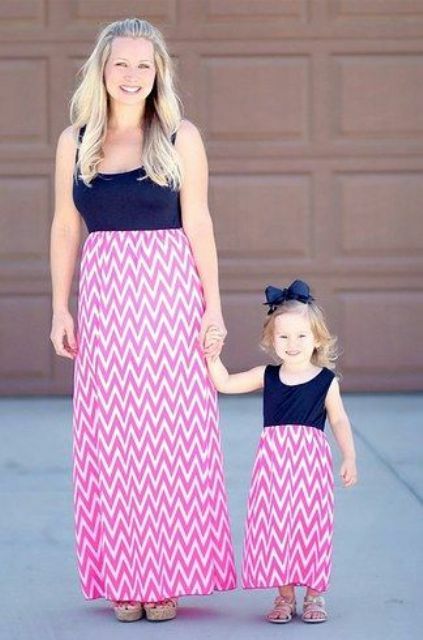 If I had a little daughter, the first thing I would do would be ordering matching outfits for us both, how cute would that be? 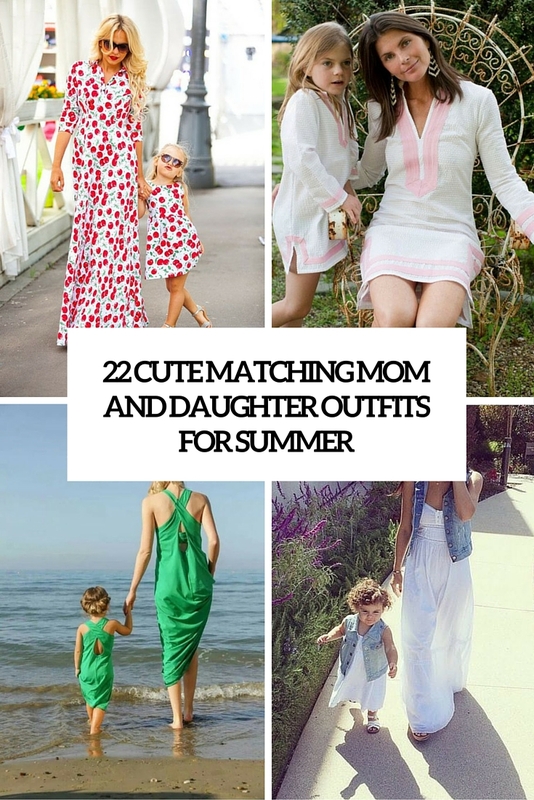 I totally love matching fashion because it makes you two so much closer and you know, small girls always want to look like their moms. They try on your clothes and shoes and sometimes use your makeup because they want to be in trend, too. 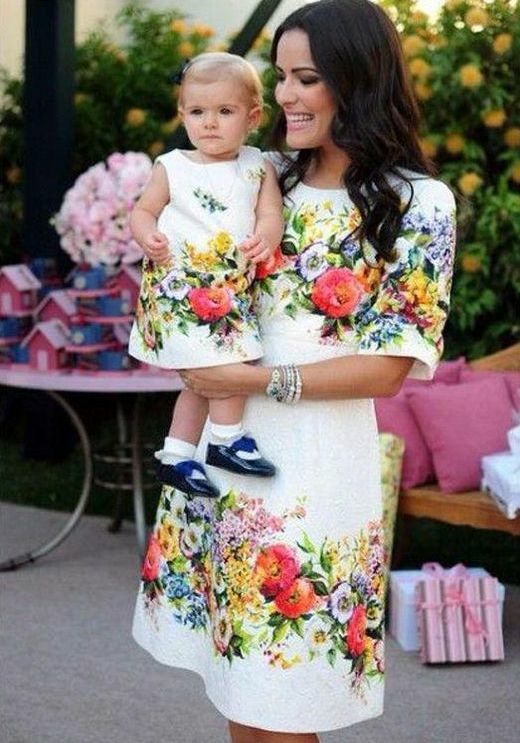 Matching looks are awesome, they are amazing not only for everyday wear but also for various occasions, and of course, photo shoots. What are the ideas to try this summer? First of all, it’s a dress. 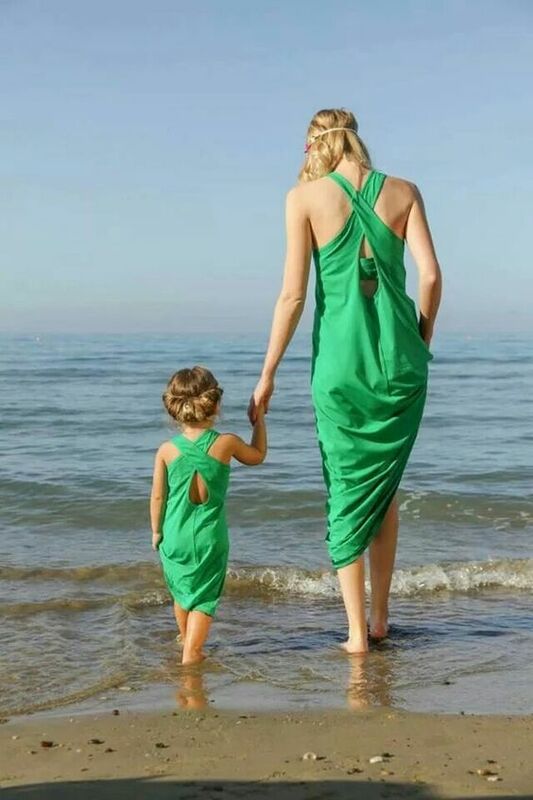 A dress is an ideal piece for every situation in summer – you won’t feel hot in it but will feel comfy and look girlish, that’s perfect for you and especially for your little girl. 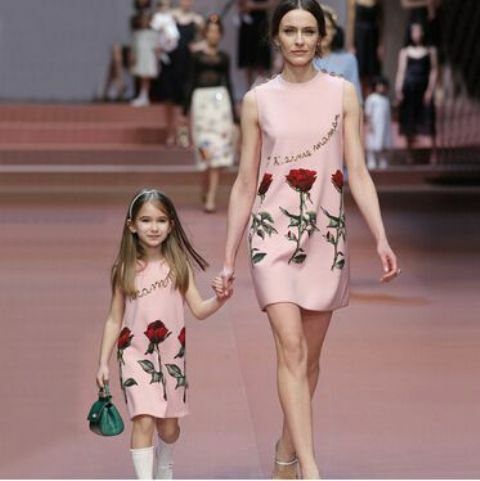 Rock matching loose floral dresses not to feel too hot, a boho-inspired maxi dress is another trendy idea, just don’t get a maxi for your daughter for her not to fall. 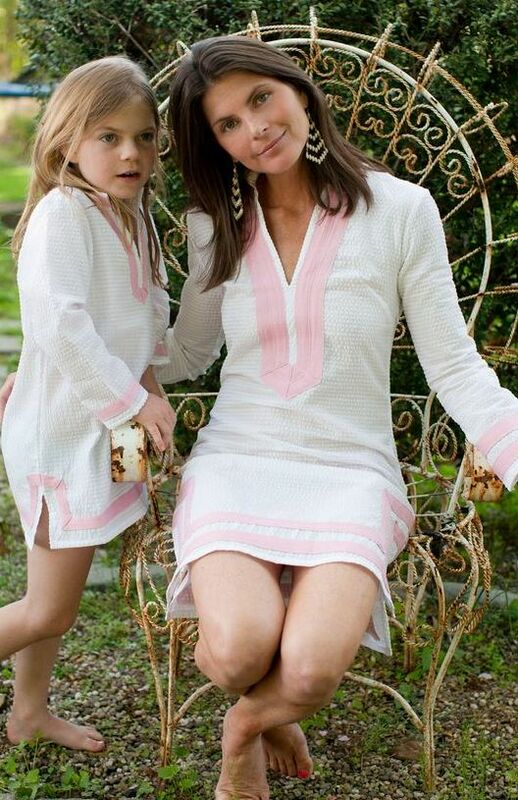 Try a two piece dress for yourself and a usual one of the same color for your little one. 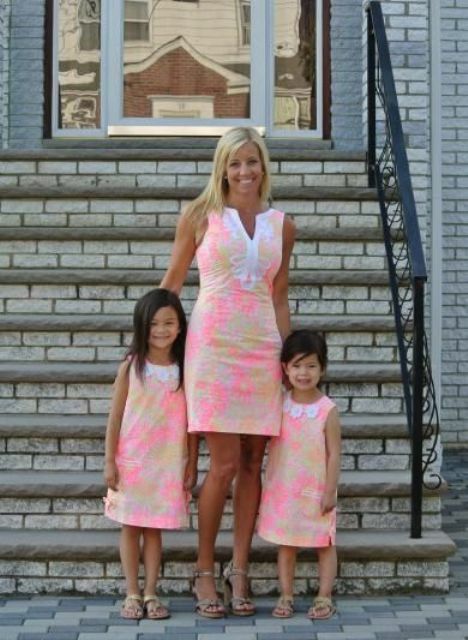 Actually, you can choose any color and pattern that you like and that matches your style. 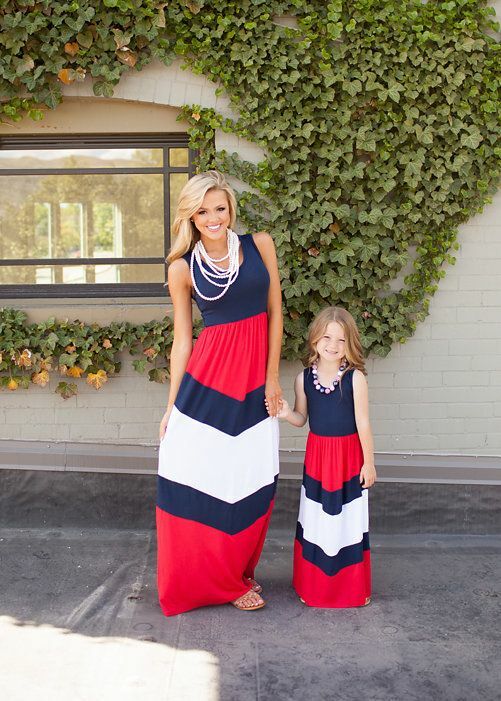 Matching dresses will be a cool idea for any party with kids or just any occasion where kids are invited. 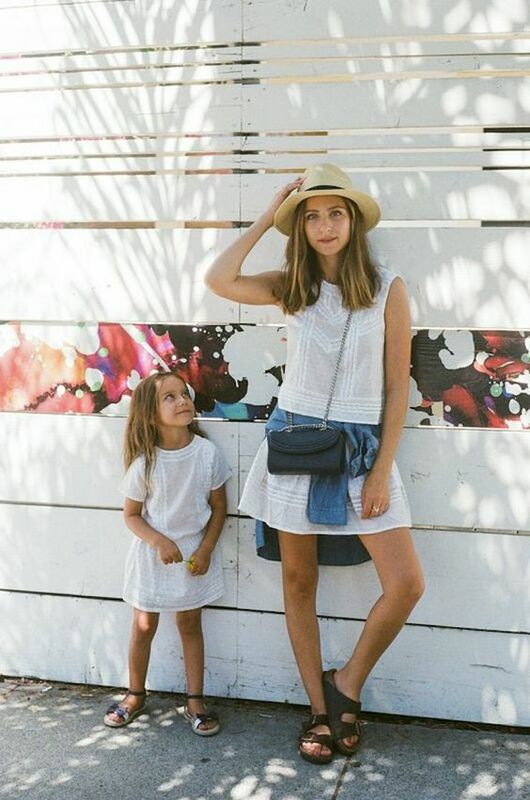 Skirt looks are another great idea for you both to feel comfy and look super cute. Rock a tutu skirt with some top, it works for both small and adult girls very well! 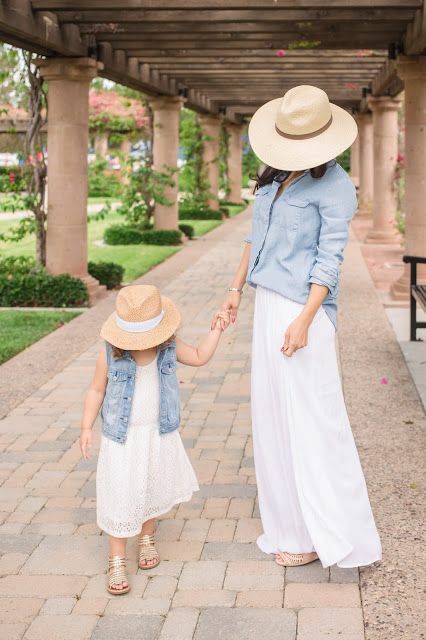 Go for a maxi lace white skirt, white top and a denim jacket or vest for a trendy boho-inspired look. Go for a black and white look with some funny print, for example, polka dots. 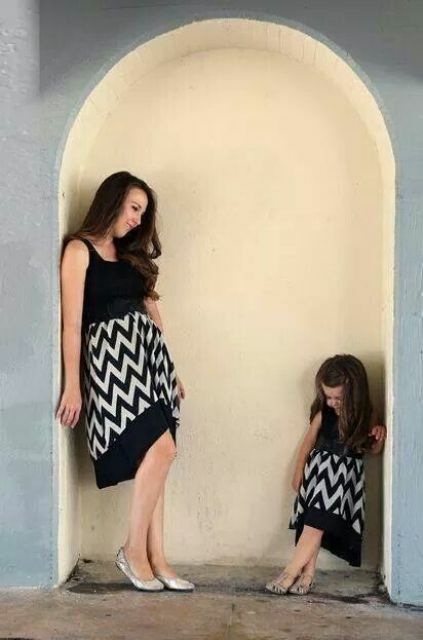 Don’t forget that even if you choose heels, buy flats for your daughter because she’s too small, or just buy flats for both. Get inspired!